Reposting one of my favorites…. So, why you ask, does that odd and quirky lady always have that pesky yet adorable little dog in tow? While it can be a bit annoying and distracting, many fail to imagine a purpose for such a thing. 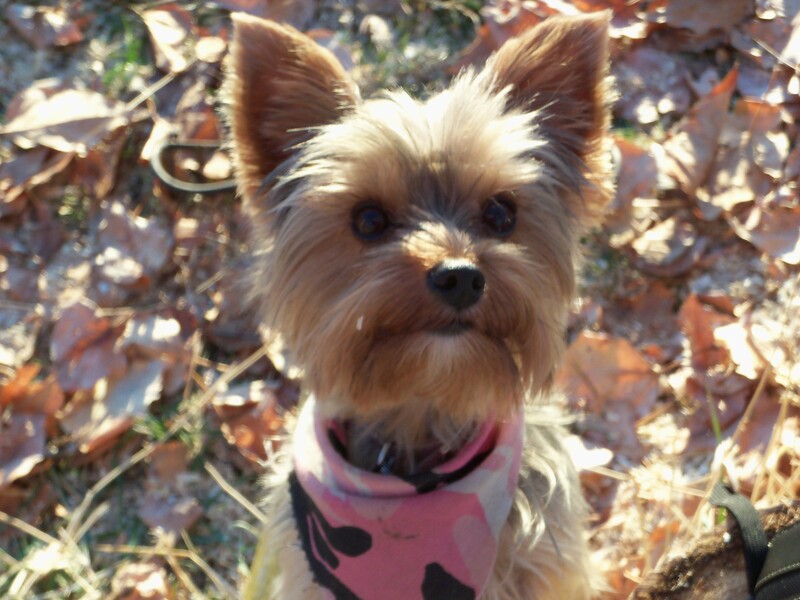 Well, let me introduce you to Marty….Marty my little Yorkie dog has a long history. Excitedly she bounces in my car and resumes her place on top of the seat, allowing her to see everything coming her way, eager to go on a ride. Accompanying the family on long road trips, sporting events, hunting camp, even outings to church and the grocery store, she goes with us everywhere. So where did she come from and why do some people take their dogs everywhere? Well, as I see it, God recognized I would need a companion, something to love me unconditionally during the tragedy he knew I was about to embark on. Oddly enough, a complete God send at exactly the time Lydia passed away, Marty was born. My cousin had a litter of puppies and immediately I knew I was meant to have one. For that first long, lonely year, she was there. There in those long and frightening moments of uncertainty, the terrifying days and never-ending nights, the entire year of firsts without Lydia, Marty was there. She would watch and comfort me as I sobbed for hours in bed and when I felt there was no hope, curled up in a ball in the bottom of my dark closet all alone, she was there. This is Marty. 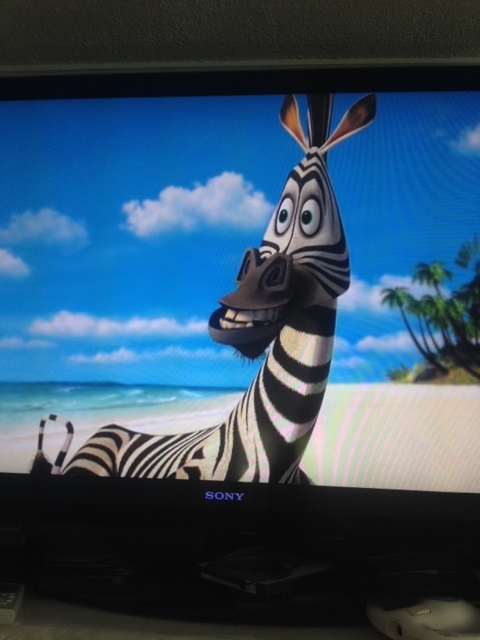 The infamous zebra from the hit movie, Madagascar. This movie was one near and dear to Lydia’s heart. She loved it so much, that a zebra took on a whole new meaning and transformation in our family. Marty was Lydia’s favorite character in the movie. We were so fortunate to be able to live near a carousel where she found “Marty.” A carousel horse, painted like a zebra. She and her little brother would enjoy endless rides on the carousel, which caused many conflicts between them about who go to ride “Marty” first. This infamous zebra who she called Marty, has provided years of smiles for all five of our children. 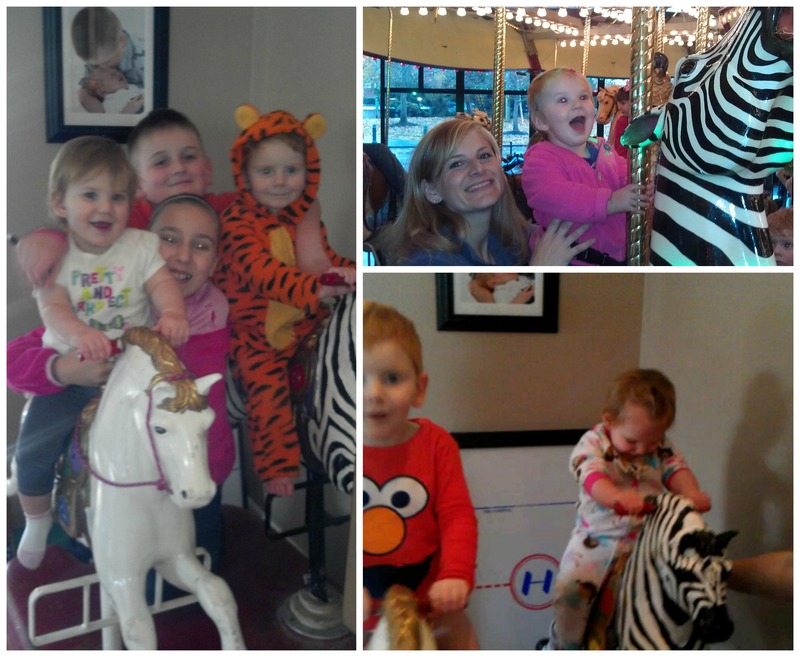 We would visit the carousel frequently as every time we passed near it, we were unable to resist the urge to stop. One day Lydia, my dad, and I went to the carousel. Her grandpa wanted to buy her a souvenir from our trip there, so into the gift shop she ran. Over to the shelves she went and immediately came jumping back, grinning ear to ear, with the zebra, Marty snuggled tightly in her arm. For years, these two were inseparable. Marty went wherever she went. To preschool, the store, car rides, the park, you name it, Marty was there. Over time, the white stripes had turned to dingy brown, reflecting a dusting of all the love that was given to him. I never could have guessed the impact and meaning that this character would have on our lives. When Lydia died, I knew Marty had to go with her, despite my desperately wanting to keep him to myself, never wanting to part with the memories. The most terrifying day of my life, while at the funeral home, Marty was placed next to her in her casket, snuggled with her for eternity. With drops of love falling down my face, I walked out in pure emptiness. The following year, I found myself at that same carousel, this time without Lydia. Her brother had loved going there and it had now become a place that I avoided. Barely able to drive by it without breaking down, it became a habit to turn my head and look the other way as we passed. However, after realizing I wasn’t being fair to my son, I knew I must face it. Sadly, he and I finally went to the carousel so he could see Marty again. It didn’t take long before I went searching for a new Marty the stuffy in the gift shop. I scoured the gift shop shelves, searching through every animal until I found the one. The same exact Marty, the only one left, was hidden behind several other animals. Immediately, I scooped it up and purchased this little animal with such an enormous smile, realizing the blessing I was just given. 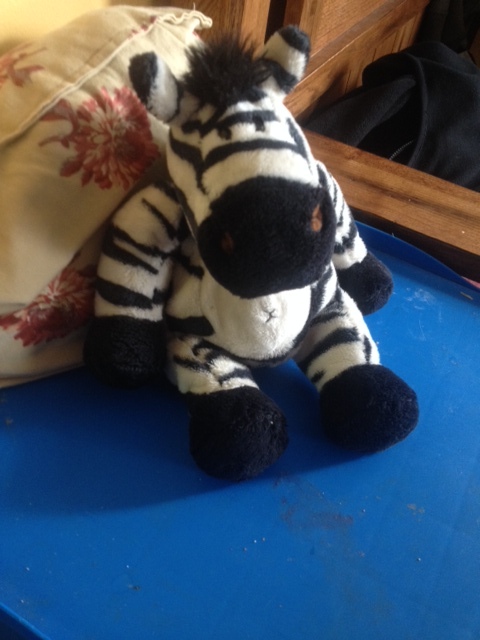 Shortly thereafter, I contacted the maker of the stuffed animal wanting to purchase more, however, it was then I learned they were no longer making this style of zebra anymore. What a precious gift I had just received. The last one, and I had found it. 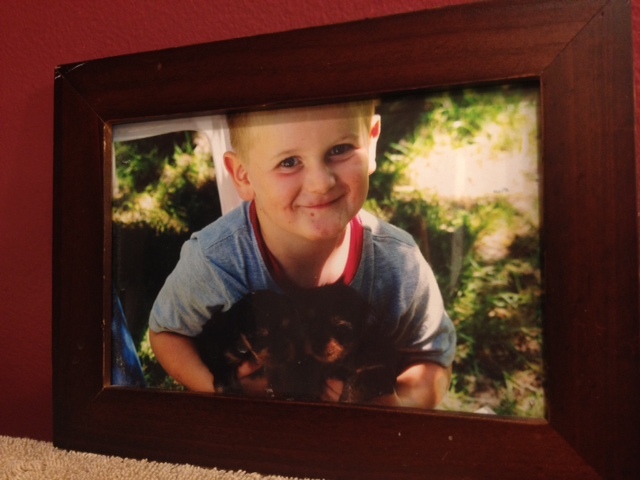 Marty started to be a namesake in our everyday lives and that of our extended family as well. It wasn’t long before my dad had given the kids their very own Marty to ride in the house! Antique quarter horses! What an incredible gift that would last for eternity. For years now, the children have enjoyed their own Marty and his friend without having to go outside. (Thanks to Auntie M for a fabulous paint job)! Marty at home and carousel! Marty the stuffy, serves as a reminder of all the heartbreak, love and deep memories…. So back to Marty the dog. Time has passed and she has slept on my bed for six years, representing the six years I’ve been without Lydia. Marty has aided in softening my trauma and showing me that unconditional love, I so greatly yearned for. She showed me that I was still capable of love even though my heart had been ripped into pieces. Marty the dog, to me is priceless. I often refer to her jokingly as my therapy dog, but that is exactly what she has been for me. When I was at rock bottom, she was there to hold, cuddle, and love. As I started that terrifying new journey in life, while one chapter ended and a new one began, I realized Marty would faintly connect them forever. She serves as a reminder of a life that once was, yet a fresh beginning and sense of security for the new life to come. She is purely a representative of two worlds joined together by love and heartbreak. Marty has been the best gift He could ever give me. So yes, Marty goes with me everywhere, even to work at times in the past. A dog like this, many cannot comprehend her purpose, the crazy places I take her, nor could they ever fathom the emotional safety net she has given me. Animals CAN help soften our grief. By providing someone to take care of, a responsibility other than taking care of ourselves, these little critters can be some of our best friends. Their soft and gentle touch can sooth our souls while their unconditional love and companionship can lift us out of the darkness without us even noticing it. So next time you wonder, begin to judge and get annoyed at someone and their annoying little animal, just remember, everyone has a story.